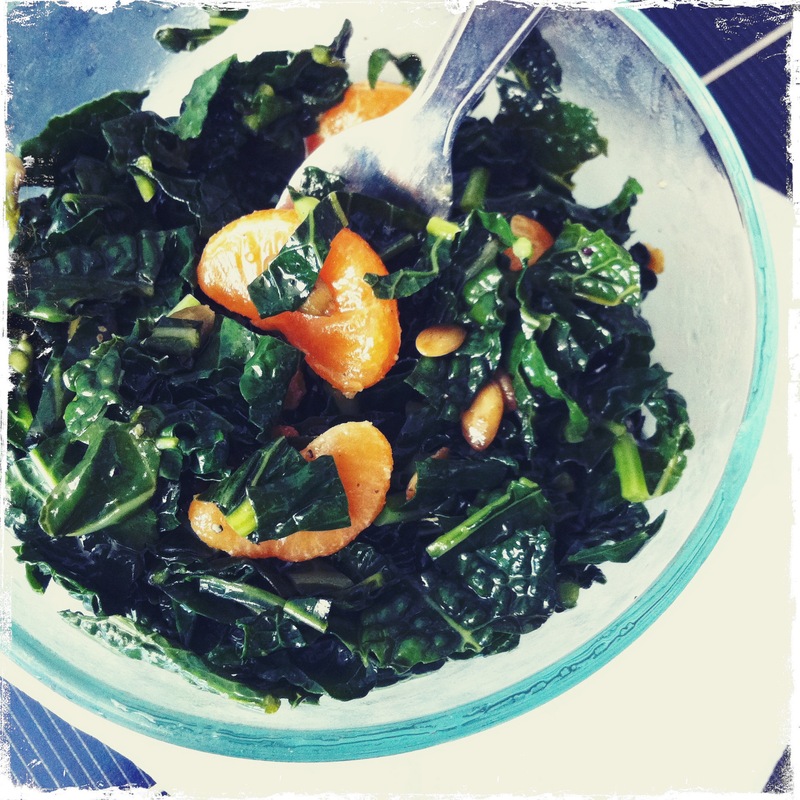 This kale salad is so simple to make and good to eat. Blanched kale, tangerines, and toasted pumpkin seeds are dressed with a fresh Meyer lemon juice and olive oil vinaigrette. Salt and pepper to taste. Yum.